Help celebrate author Dennis Etchison’s 70th birthday on March 30 at Mystery & Imagination Bookstore. 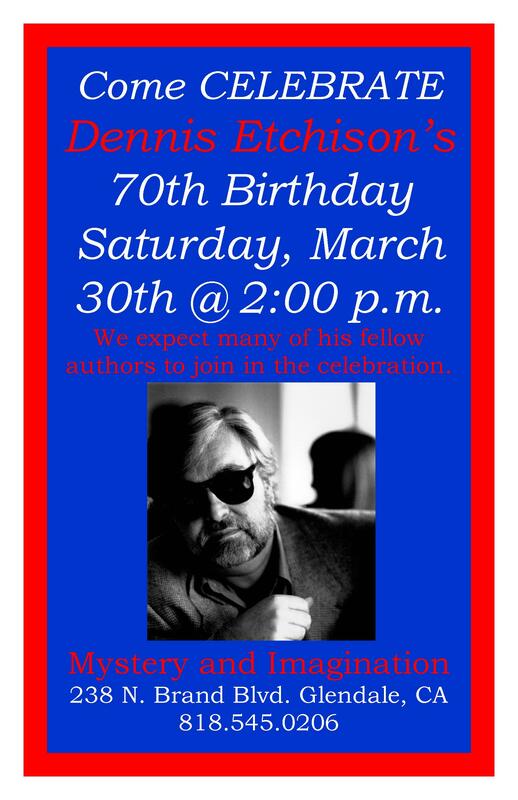 The event begins at 2:00 p.m.
Etchison’s fiction has earned three British Fantasy Awards. The anthologies he’s edited have captured two World Fantasy Awards. The distinguished author and editor is also past President of the Horror Writers Association. Mystery & Imagination is located at 238 N. Brand Blvd., Glendale, CA. This entry was posted in Like Show Business and tagged Dennis Etchison by Mike Glyer. Bookmark the permalink.